Welcome to Dego. This is our first post. Edit or delete it, then start blogging is what WordPress says, but hey we’ve also got our ideas to share! Since September 2015, our small team has been working hard at reshaping last mile logistics to fit to the various needs of different individuals, industries and companies of all sizes. We’re not your standard couriers that have been serving this country for many years, but we’ve got a social mission as a technology company to empower, upskill and improve the lives of informal labour force in Malaysia. We engage with 3,000+ experienced and trusted individual contractors and vehicle owners in Klang Valley to provide a variety of services. Our mission is built on 5 pillars: Efficiency, Reliability, Trust, Innovation, and Social Impact. Our RocketUncle, Zyllem & Dego Partners testify that their income and quality of life has improved as an independent contractor while providing them access to a daily source of income. 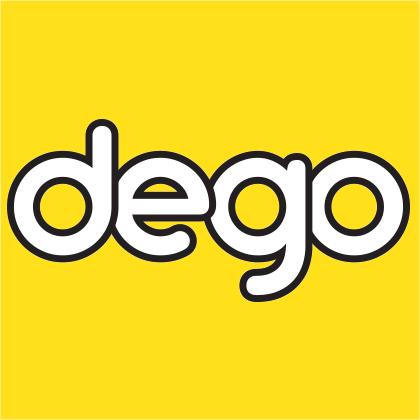 Dego officially operates within the Greater Klang Valley providing services across 50+ townships and 100% Postcode coverage with plans to expand into more cities and towns near you. do you have referral/affiliate sistem? We do not have a referral system for recruiting Partners, however we have an affiliate system for recruiting merchants and individuals to start using our delivery services. Is dego still do the bizz? May i know how to joint your affiliate system ? Yes Dego has continued and is still active, with your help we can even be more active! Yes you may apply to join our affiliate system here – http://www.dego.my/affiliates. Hi Dego,bravo for the service. Do you guys provide headsocks for hygiene purpose? Yes we do provide hairnets to all our Rider Partners for Dego Ride to provide to their customers for hygiene purposes. Thank you very much for the kind compliment sir! I’ve used your service few times where the place of riders’ crowd is not in a large numbers. Just my 20 cents;why not put the orange sticker logo on the motorcycle or helmet so that pillion rider could distinguish easily or just uniformed them in any orange colour shirt or t shirt which the rider owned? Thank you for using our Dego Ride service, and well noted on the idea for easy identification of our Rider Partners. We agree and have something coming up to solve this issue. Thanks for sharing your feedback and its much appreciated! When Im trying to open this http://dego.my/dedicated-partner;it says Oops! That page can’t be found. Ye kami ada Rider wanita 🙂 Anda berminat untuk jadi Rider atau pelanggan kami? Hai saya berminatuntuk jadi rider di penang. Macam mna ya? Sila ke https://dego.my/partner-register/ untuk register sebagai Partner Rider kami. I got a suggestion from erezeki to register with dego. Do you operate in Segamat Johor? Yes we are working with MDEC eRezeki to help Dego with the expansion and growth of our services in Segamat and Johor as a whole, specifically in Johor Bahru. Looking forward to your kind registration and participation in our combined efforts.